“Shiver me timbers” it’s Pirate Cottage! 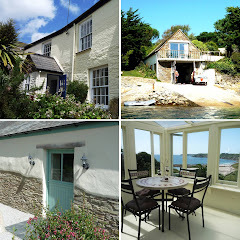 www.cornwallscottages.co.uk (01872 264441) is offering Pirate Cottage, a substantial village house in the centre of St Mawes on the Roseland Peninsula, for £659.20 (was £949). The property has harbour views, a stylish modern kitchen and a private roof deck. Arriving June 12.
www.cornwallscottages.co.uk (01872 264441) is offering Barton Cottage in Crackington Haven, north Cornwall for £471.20 (was £589). This traditional cottage is located in a wonderful cliff top position by St Gennys church near to the coastal footpaths and the beach, has an enclosed garden and allows one well-behaved dog. Arriving June 11.
www.cornwallscottages.co.uk (01872 264441) is offering New Quay Lodge in Flushing, south Cornwall for £711.75 (was £949). 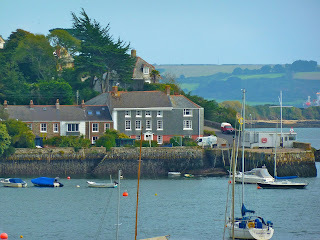 A beautiful Grade II listed waterfront property full of history and character with an exquisite garden and sun house. Private off-road parking available. Arriving June 17.
www.cornwallscottages.co.uk (01872 264441) is offering Moonlight, near Truro, central Cornwall, for £279 (was £349). In a blissfully peaceful area, this delightful first floor cottage has a dual aspect living space with part vaulted ceiling and pale blue exposed beams. Available June 11.
www.cornwallscottages.co.uk (01872 264441) is offering Gribbas Cottage, a delightful one-bedroom cottage in Stithians, mid Cornwall, for £329 (was £379). Thick granite stone walls, beamed ceilings and south facing garden. Up to 2 well-behaved dogs welcome. Arriving June 24.